The House of Commons ethics committee will meet on Tuesday to discuss whether members should study the SNC-Lavalin affair after the Liberals used their majority on the justice committee to end a similar investigation. Opposition members of the House of Commons ethics committee will be pushing this week to bring renewed attention to the SNC-Lavalin affair, with the hope of hearing from the two Liberal MPs who quit cabinet over the government's handling of the issue. Members of the standing committee on access to information, privacy and ethics are meeting Tuesday to discuss requests from the Conservatives and NDP to study the SNC-Lavalin controversy, which sparked the cabinet resignations of Jody Wilson-Raybould and Jane Philpott — and left Prime Minister Justin Trudeau facing tough questions. 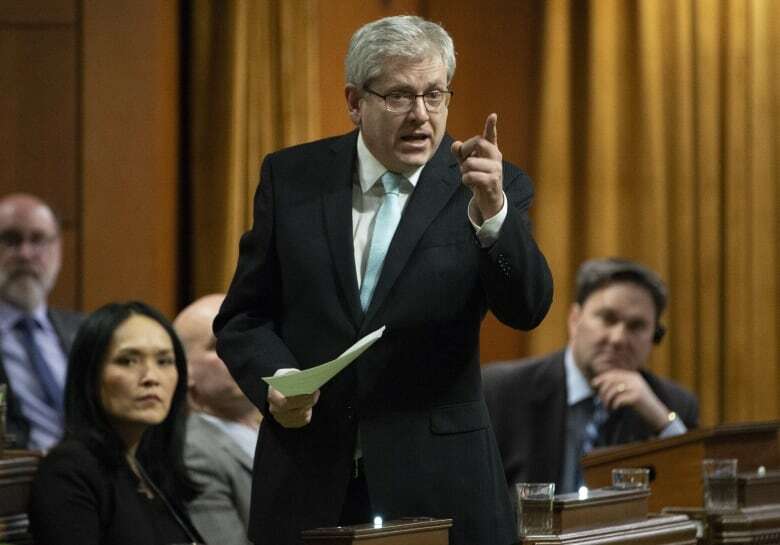 "The ethics committee is a natural second point for this because we deal with issues of lobbying," said Timmins-James Bay MP Charlie Angus, a vice-chair of the ethics committee. Ask the prime minister to waive all constraints preventing former attorney general and justice minister Wilson-Raybould from speaking about her experience on the SNC-Lavalin file. Invite Wilson-Raybould and Philpott to testify before April 5. Allow the committee to table its findings in Parliament. Wilson-Raybould appeared before the justice committee last month to answer questions about a Globe and Mail report that alleged she was pressed by senior people in the prime minister's office to allow the Quebec engineering firm SNC-Lavalin to enter into a remediation agreement to avoid criminal prosecution on fraud and bribery charges. Jane Philpott, who left her role as president of the Treasury Board, recently made waves with an interview she gave to Maclean's, in which she said there's "much more" to the SNC-Lavalin story. Philpott has not testified before committee, but her comments to Maclean's drew a strong response from some in the Liberal caucus. Humber River—Black Creek MP Judy Sgro told Chris Hall, host of CBC Radio's The House, "it's either put up or shut up," in an interview that aired on Saturday. "You can't tell people to put up or shut up when you're not letting them speak," said Angus in response to Sgro's remark. In addition to a possible Commons ethics committee inquiry, the conflict of interest and ethics commissioner is investigating the SNC-Lavalin case. The government maintains nothing improper happened — but opposition MPs say the full story has not yet been revealed and they want to hear from both the former ministers. Last week, the Liberals used their majority on the Commons justice committee to end an inquiry into the matter. The Liberals have a majority on the Commons ethics committee — but Angus said that doesn't worry him. The NDP MP shares the role of vice-chair of the ethics committee with Liberal MP Nathaniel Erskine-Smith. In late February, as more questions emerged about the SNC-Lavalin story, Erskine-Smith sided with an opposition motion Angus presented that called for a public inquiry and for the prime minister to waive solicitor-client privilege for the former attorney general. Erskine-Smith didn't respond to CBC's request on Sunday for an interview, but Angus said he would be "very surprised" if the Toronto MP didn't support a motion for their committee to investigate the government's handling of the SNC-Lavalin case. 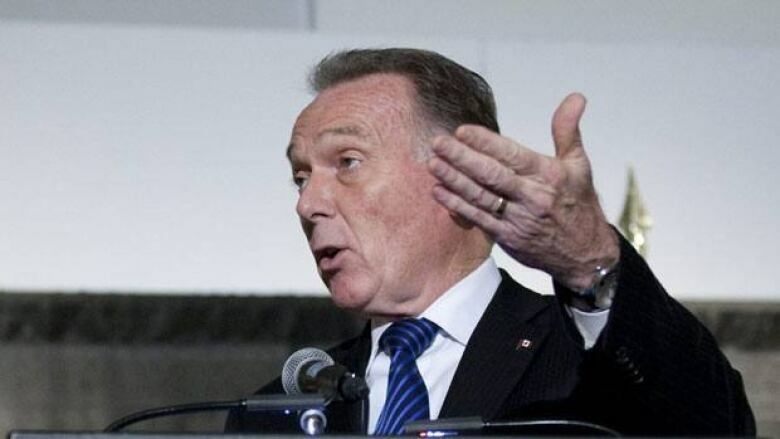 "I'm hoping the Liberal members of the ethics committee will stand up on principle, as their colleagues on the justice committee obviously didn't," said Peter Kent, Conservative ethics critic and Thornhill MP. "The biggest question is to hear what she [Wilson-Raybould] has to say between the moment she was officially removed from the attorney general post up until the moment that she resigned completely from cabinet." The prime minister has waived solicitor-client privilege and cabinet confidence for Wilson-Raybould to testify about the matters linked to SNC-Lavalin dating from her time as attorney general, but she remains bound by cabinet confidence and can't speak about the period after she was moved to Veterans Affairs and before she quit cabinet. An increasing number of Liberal MPs have said Wilson-Raybould and Philpott could share their stories by rising in the House and using parliamentary privilege, but University of Ottawa law professor Errol Mendes said the former cabinet ministers may feel bound by the oath to the privy council. "It's basically swearing to the Queen and to God that as privy councillors they will keep secret everything that has been treated or debated in their capacity as privy councillors, i.e. members of the cabinet," Mendes said. "I think there is an indication that they have a higher obligation to observe that even if they are allowed to present whatever they want within the confines of parliamentary privilege." It's a question of legal constraints versus moral ethical constraints, according to Mendes, which the committee and the former cabinet ministers will have to navigate. But there's something else Mendes wants the Commons ethics committee to review: the application of deferred prosecution agreements, a newly created legal tool. There are ethical questions to explore there as well, the legal expert said. Whether anything at all relating to the SNC-Lavalin affair will be scrutinized at the ethics committee could be decided this week.